Rumoured Bollywood couple Disha Patani and Tiger Shroff is often snapped spending quality time with each other on casual outings. 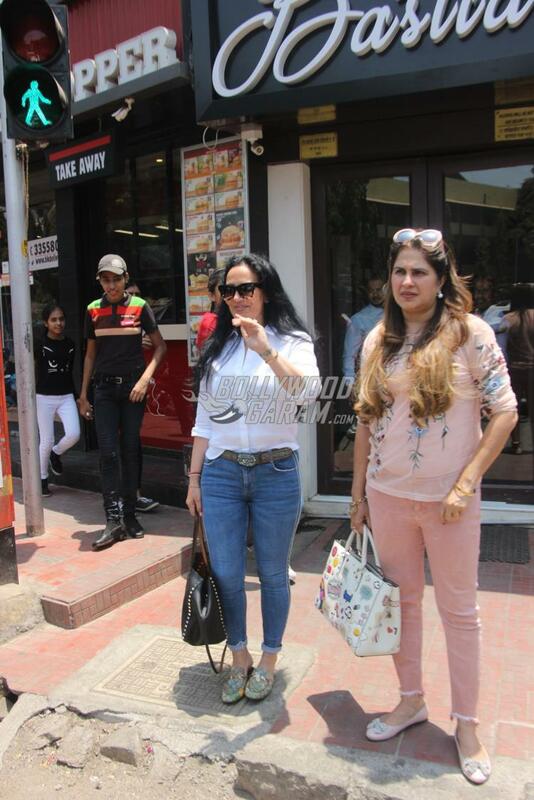 This time the couple was accompanied by Tiger Shroff’s mother Ayesha Shroff at a popular eatery in Mumbai on April 29, 2018. Tiger greeted the media and Disha was seen sharing a hearty laugh with Ayesha Shroff as they made an exit holding each other’s hands from the restaurant. Disha looked cool in a long shirt and denims shorts while Tiger looked dapper in a sleeveless camouflage t-shirt and off-white pants. Ayesha looked trendy in a white shirt and a pair of denims. Disha and Tiger were all smiles for the cameras as they made an exit from the restaurant. 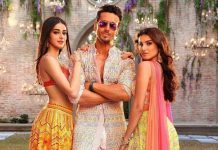 On the work front, Tiger and Disha are enjoying the success of their recently released film Baaghi 2 which was directed by Ahmed Khan and produced by Sahjid Nadiadwala. The film released in theatres on March 30, 2018 and was appreciated by the audience and the critics.